Being America’s Greatest Family Resort means having a wide variety of culinary options to suit even the pickiest tastes. And Ocean City does – unless you are looking to have a glass of wine or an after-dinner aperitif with your meal. Ocean City has been a dry town since its inception, and a movement to allow restaurants to offer a BYOB option was recently rejected by residents. The good news about not allowing alcohol in dining establishments is that eating dinner out is cheaper, and families can avoid dining with loud over-imbibers. Here are the establishments that we think are best in categories that are important to us when we travel. Bon Appetit! Ocean City Coffee (3 locations – 9th and Boardwalk; 10th and Boardwalk; 917 Asbury Avenue) If you’re looking for excellent coffee “roasted on the beach”, Ocean City Coffee is the place to be. They offer over 110 different types of fresh roasted gourmet coffees and over 18 varieties of specialty teas. With 2 shops located on the boardwalk and one on Asbury Avenue, coffee drinkers have a choice of where to enjoy their morning brew – on a boardwalk bench overlooking the ocean, or in a comfy bistro setting where free wi-fi is offered. Open daily 6 am – 7 pm. Brown’s “Almost Famous” Donuts have been delighting visitors and locals since 1976. Every summer morning, a long line forms outside the tiny walk-up window attached to Brown’s Restaurant. Customers have been known to wait an hour for hot, fresh donuts baked with a signature crispy exterior and a soft cake interior. There is not an overwhelming variety of flavors, but these tasty treats are still a favorite with donut aficionados. OC Surf Café (715 East 8th Street) The OC Surf Café is a colorfully decorated café offering an expansive selection of delicious breakfast and lunch items, made to order with the freshest ingredients. Morning selections include breakfast burritos, omelets, waffles, pancakes and special combos. The surf-themed décor and videos will make you want to hang ten, as the staff is friendly and the vibe is upbeat. There is often a wait, so put your name in and relax on the pastel-colored Adirondack chairs outside. Open daily 7 am – 2 pm. Beach Bucket Lunch (2 locations – 2100 Asbury Avenue and 3406 Asbury Avenue) This very unique dining experience provides beachgoers with an awesome opportunity to have their breakfast or lunch prepared and delivered to them right on the beach. BBL has partnered with Blitz’s Markets to provide freshly made salads, burgers, hoagies and other handhelds. A choice of sandwich or hoagie, chips, fruit, cold drink and a Tasty-Kake treat is offered, and a “go healthy” option swaps out the chips and replaces it with yogurt. Breakfast options include a breakfast sandwich, hash browns, fruit & a smoothie. Kid-friendly and healthy options are also offered and the best part is that the meals are packaged in a sturdy colorful beach bucket that kids will enjoy using after they eat. The company will also come and provide meals for special events such as clam bakes, beach-side brunches and a rainy day Beach Bucket and Board Game Special. Open daily Memorial Day till Labor Day 10:30 am – 5 pm. Yianni’s Café (Asbury Avenue) Yianni’s is a bustling little café with a robust menu featuring authentic Greek and American cuisine. The large lunch crowd is a testament to the delicious food offerings found here. Manco and Manco Pizza (3 OC locations – 8th, 9th and 10th Streets and the Boardwalk) Back in 1956, a family discovered a revolutionary way of making pizza – cheese first and the most tantalizing sauce swirled on top – and made pizza history. Manco’s pizza is the most sought-after food item on the Ocean City Boardwalk – at any given time of day there are long lines crossing the boardwalk at all three locations. In 2017, Mancos opened a new, larger restaurant in the old Strand Theater at 9th and Boardwalk to accommodate its constant throng of visitors. Delivery is also available in Ocean City. Open daily at 11 am. Ike’s Famous Crabcakes 2 (822 Boardwalk) Ike’s prides itself on being home to the freshest and finest seafood in South Jersey, a tradition that began in 1990. Since then, Ike’s has offered a casual and fun dining experience for the whole family. Using only the highest quality ingredients and cooked to order, Ike’s is famous for its crabcakes but other seafood delicacies- including fish tacos and chowder – are also highly praised. Open daily 11 am to close. Clancy’s By the Sea (1244 Boardwalk) While Clancy’s Ocean City Boardwalk location is not directly by the water, its beautiful outside dining area provides an excellent view of the boardwalk and ocean. Serving breakfast, lunch and dinner, Clancy’s food is delicious and offers an expansive menu of American cuisine sure to please any palate. While inside the restaurant is cozy and friendly, diners may want to take advantage of the ocean breeze in summer and sit at the outdoor bar (sorry, no alcohol) and watch the passersby while they dine. Open daily 7 am – 10:30 pm. The Original Kohr Brothers Frozen Custard (Various locations on Boardwalk) Kohr Brothers has been an Ocean City staple for generations, serving frozen custard made from Archie Kohr’s original 1919 recipe. Dotting the boardwalk with several locations, Kohr Brothers assures that no visit to the OC boards is complete with out this tasty treat. Open daily. Johnny B. Goode’s Ice Cream Parlor (2 locations – 14th and Asbury Avenue and 34th Street and West Avenue) This old fashioned ice cream parlor is more than just a place to grab a frozen treat. It is a venue for family entertainment as well, featuring weekly karaoke nights for kids and parents, a family sock hop, magic and comedy nights. Delicious treats include sundaes, cones, shakes, smoothies and more. Both locations open daily at 11 am. 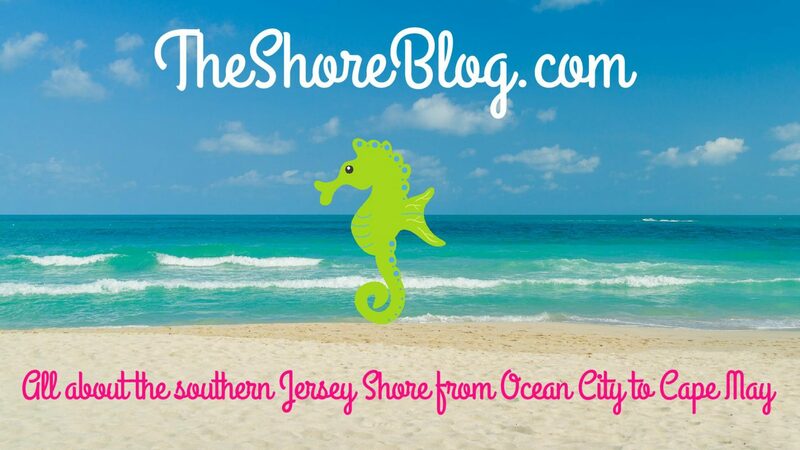 Where do you like to eat in Ocean City? If you have a recommendation or wish to share a story about your favorite eatery, please Leave A Response below or contact us. If you own a dining establishment and would like us to feature your restaurant on this blog, please contact us and give us your name, the name of your restaurant and your email address.